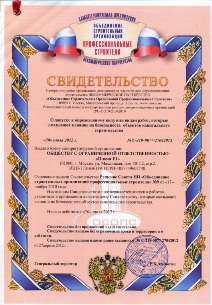 The certificate is issued by the Self-Regulatory Organization Non-profit Partnership "Association of Construction Organizations Professional Builders"
Since 2009 our company is a member of the Self-Regulatory Organization Non-Profit Partnership "Association of Construction Organizations Professional Builders" (hereinafter referred to as the SRO NPP "ACOPB"). Membership in the SRO allows conducting professional and business activities. Joining the self-regulatory organization, we have received permission to conduct the necessary types of activities - admission to construction works. 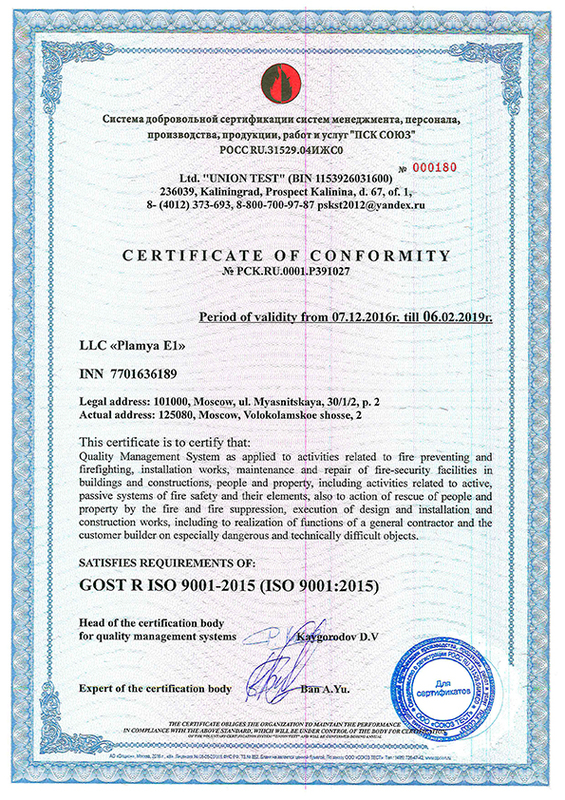 Certificate of admission is issued by the management of the self-regulatory organization. 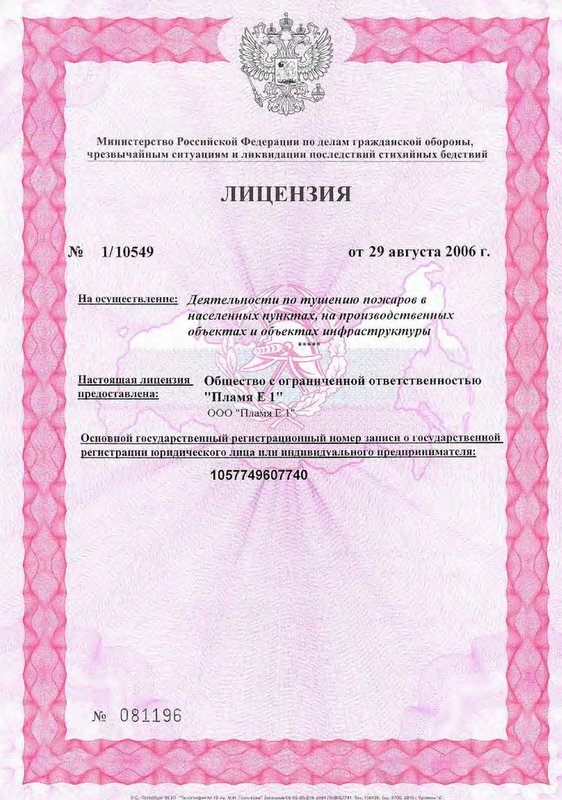 The self-regulatory organization activity is of inter-regional character and therefore the organization includes construction companies (individual entrepreneurs) from all regions of Russia. 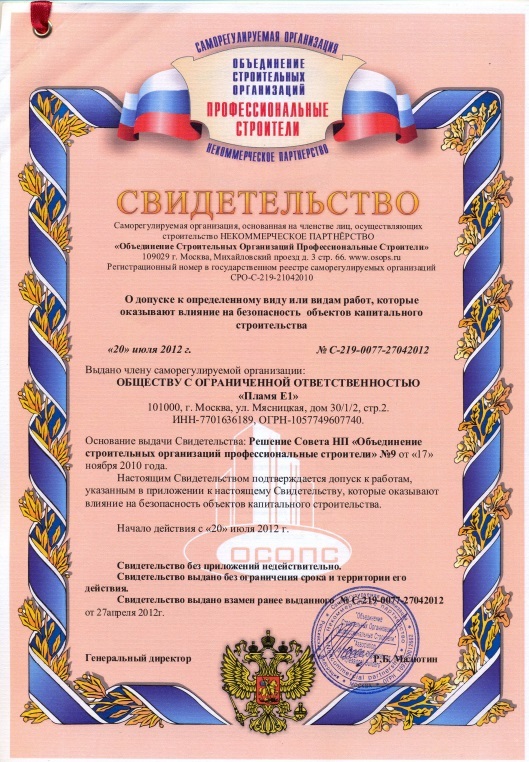 SRO members, having the admission to construction works are not limited in the choice of the "territory of admission application" and have a possibility, interacting with each other, to implement projects in different regions of Russia. The main purpose of the SRO is to protect rights and legitimate interests of its members - the persons engaged in construction activities. 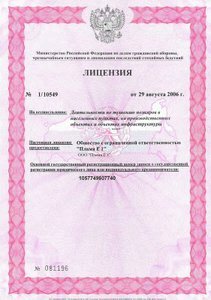 The license is issued by the Ministry of the Russian Federation for Civil Defence, Emergencies and Elimination of Consequences of Natural Disasters. Certification of the environmental management system (EMS) - is a procedure of confirmation of the relevance and effectiveness of the implemented system of environmental management of the Applicant, with the requirements of GOST R ISO 14001-2007 (ISO 14001:2004). to determine the effectiveness of the Applicant's designed and implemented environmental management system. 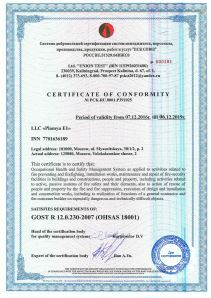 In 2007, the British Standards Institute proposed to enterprises to implement the management system in the field of labour safety, structured international standard OHSAS 18001-2007. 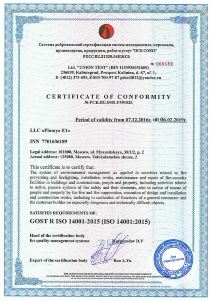 In Russia GOST 12.0.230-2007 was developed on the basis thereof. 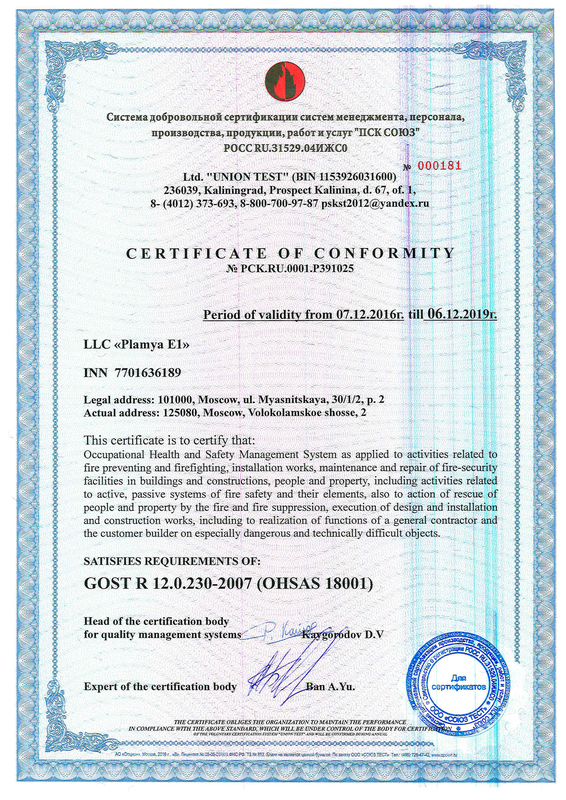 An indication that the company is working on the management system of occupational safety and health is a certificate of conformity ISO OHSAS 18001. The purpose of the company adoption of the management system of occupational safety and health is assistance to the company employees in protection of them from accidents, the impact of hazards in the workplace, entailing various types of occupational diseases. 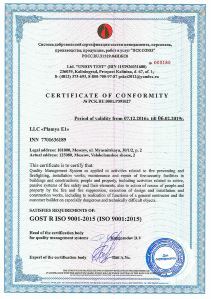 In the GOST R system the certification of quality management systems for compliance with the requirements of GOST R ISO 9001-2008 (the Russian equivalent of the International Standard ISO 9001:2008) is carried out. 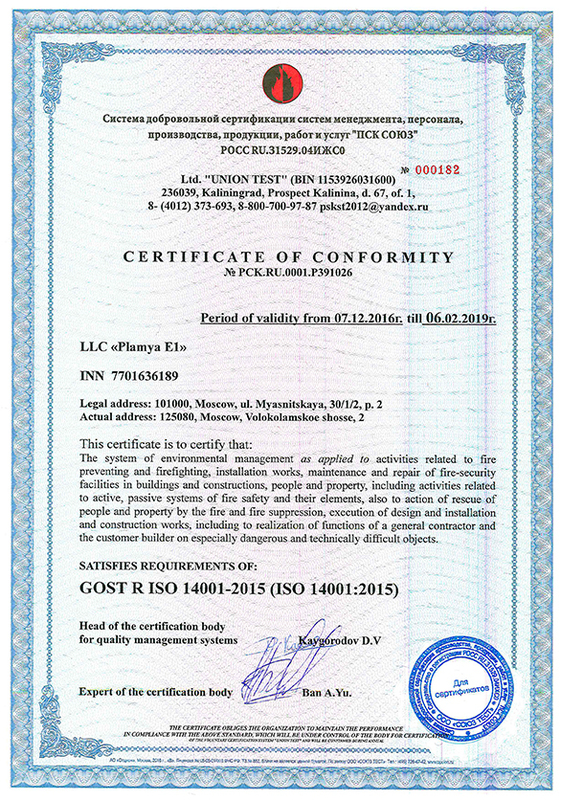 Certification in the GOST R system is carried out in accordance with the national standard of the Russian Federation GOST R 40.003-2008 "Procedure of certification of quality management systems for compliance with GOST R ISO 9001-2008 (ISO 9001:2011)."